06:55 – Adventure Logs: Shovel Knight, Bastion, and Travis Strikes Again impressions! 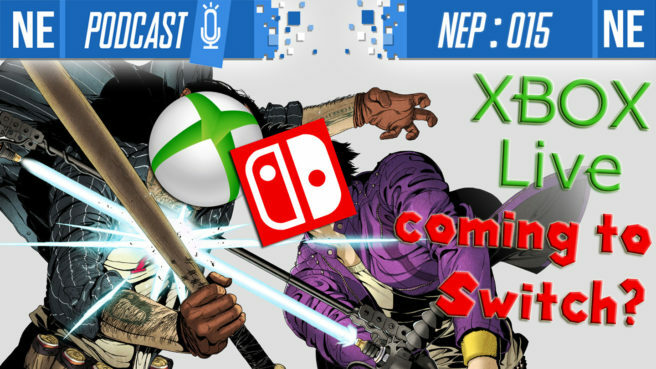 14:54 – News: Xbox Live coming to Nintendo Switch, discussions about cloud gaming, and the future. 27:32 – News Blast: Baldur’s Gate and Planescape games coming to Switch; Kirby’s Extra Epic Yarn demo on the 3DS eShop; statistics for NA Switch playerbase shows close 50/50 split between male/female, a more even split than Xbox and PS4; two new games on Nintendo Switch Online. 35:05 – Furukawa Kombat: Financial Q&A details on Nintendo in 2019 and beyond; Switch Online improving; Miyamoto letting the young devs take over and the Miyamoto legacy; multiple Switches in the household and 3DS is for entry-level gamers, but is the 3DS redundant with the Switch on the market? ; Nintendo proud of its female developers and designers, and Oni’s perspective on how important this is for Japanese society; unannounced games in development for 2019 release; Nintendo acknowledging missed opportunities in early 2018, and committing to enriching their software in 2019. 1:00:08 – Listener Mail: What dead series do you want to see brought back and what do you want to see added? And our outro music this week is, “Primrose, the Dancer” from the Octopath Traveler soundtrack.